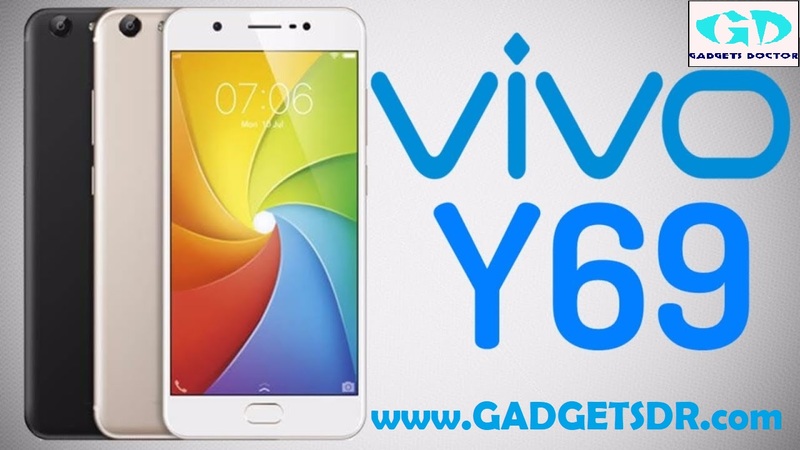 Vivo Y69 Remove Lock Screen: Hello Vivo Y69 (Vivo 1715) owners, good news for you guys, now Remove Vivo Y69 (1715) Pattern lock, Password, Pin lock very easily, we all know now Vivo Y69 (1715) remove pattern lock is too difficult, but now we find a way to remove it, follow the below tutorial very easily. This method will work on Android 8.1 (we tested). If you have forgotten Pattern lock, Password, Pin lock from your Vivo Y69 (1715) then follow this method to remove screen lock from your Vivo 1715, We share with you very simple way to remove Pattern lock Vivo Y69, but following this process, you may erase all your personal data like photos, videos, contacts, call logs and massages everything because of hard reset your Vivo Y69 (1715). -To Remove Vivo Y69 Pattern lock you need to download some files. check below you will get all the files, first of all, download the “Vivo Y69 Pattern remove file” and download Vivo Y69 USB driver. -Done. now your device will easily detect on PC and you can easily do Vivo Y69 Remove lock screen. -Download all the files first. -After that, extract all the downloaded files in one folder. -then open the extracted FRP file folder. -There you will see another two folders. -Open the FRP tool folder. -Now Click on the “Choose” from the “Download-Agent”. -Now Give the file path of boot file “gadgetsdoctor.bin”. – file on extracted frp files folder. -you can find scatter file on the pattern remove file folder. -Now press on your keyboard “CTRL+ALT+V” and again press “CTRL+ALT+S”. -Then you will see extra two tabs will be appearing on “SP Flash tool”. -Click on the “Auth File” tab and give the file “auth” file path there, the file should be on “Vivo Y69 Flasher folder”. -All done, now you need to connect your device to PC to Vivo y69 Remove screen lock (Pattern, password, Pin). -After that, press the “Volume UP” button and then connect your device to PC. Make Sure: Install USB driver first to detect your device to PC. -Once detected your device to the PC. -Go back to the “SP Flash tool” application. -Then untick the “Preloader” file. -After that, click on the “Download” icon. -Done, wait a few seconds to detect your device. -Once connected you will see your device flashing will be started. -Once finish disconnect your device and then power on your device. -Then check you have successfully remove vivo y69 pattern lock. Thanks for visiting us, Comment below if you face any problem With Remove Vivo Y69 (1715) Pattern Lock, we will try to solve your problem as soon as possible. you can check other some tutorial here to help you. Thanks for your Great Share. I already try your file and your ways, Its work !!! I have forgotten my Vivo Y69, and now i can use my device again. Thank yoy so much for share this article. Check all Download links again already added all files ..and check all links all links are working..
it worked, lock screen removed. my daughter was so happy, thanks bro. 1. when choosing the download agent file, the text guide states “MTK_AllInOne_DA_vivo.bin”, while the video suggested GADGETSDOCTOR.bin, both bin files can be found in the flasher folder. i followed the video, it worked. Glad to here that.. Thank you sir … If i help you please Share this post and subscribe our Youtube Channel. Sir i can’t download all the files in your given links, it is routing on the site of linkshare.net sir..